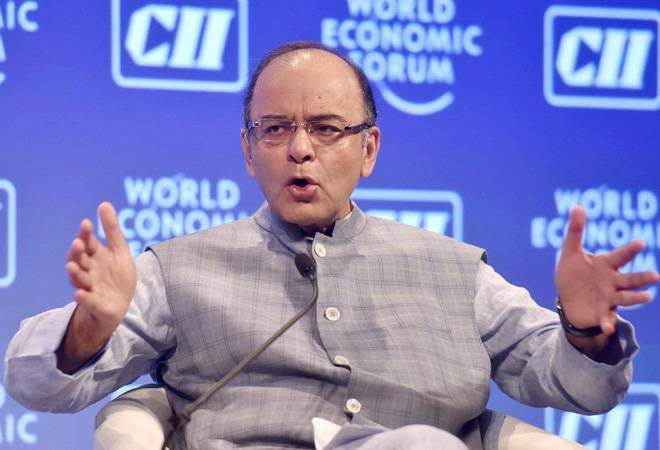 While speaking to media on Thursday, the Finance Minister Arun Jaitley said that bank withdrawal exchange limit is only for the first two weeks till the banks have enough cash to dispense. Department of Economic Affairs Secretary, who was in the press conference said that Rs 1000 currency note with enhanced security features, different colour will be re-introduced in a few months. While responding to questions on huge rush of people at jewellery stores, the Finance Minister said that jewellers will have to account for the cash they take from buyers. "People depositing small amount will not face any problem; revenue department not to take notice of small depositors," added Jaitley. Assuring the farmers who generally transact through cash, the Finance Minister said agriculture income will remain tax free. On GST, Finance Minister Arun Jaitley said that the government was aiming to implement the new sales tax next April. GST will ensure higher tax compliance and less tax evasion, Jaitley added.